Good afternoon! It’s Monday, which means it is time for this week’s edition of Flute Boy’s Meadow, the weekly music feature where I dissect our favorite Zelda tunes to see what makes them special! This week as we look forward to the beginning of a new year, I am turning the clock back and looking at an old and beloved classic among Zelda fans: “Ballad of the Wind Fish” from Link’s Awakening! This song is unbelievably catchy and pretty complex, especially for a GameBoy game. Despite the limited hardware it originally appeared on it has inspired countless covers as well as universal love from fans and almost secured a spot in Super Smash Bros. Brawl. So just what makes this song so great? Jump on in to see! One thing I’ve always found interesting about this track is its use of the Eight Instruments of the Sirens. Despite being limited to the GameBoy’s sound capabilities one can still make out the individual sounds of the cello, horn, bell, harp, marimba, triangle, organ, and drum. They aren’t perfect and certainly don’t sound exactly like they should but they still add diversity to the track. The track itself is a great example of a game’s primary theme. Its tune flows nicely enough to make wonderful credits music, but it is also capable of creating moving scenes in other parts of the game. Plus, unlike last week’s song, this one benefits from complexity. At any given time there are multiple layers of music playing, all of them working together to form a beautiful song. Now, it is hard to truly grasp the full extent of this song’s beauty simply from its GameBoy origins, so I have tracked down a few modern renditions that I feel are noteworthy. One is the Symphony of the Goddess‘s breathtaking version of the song. I also feel that YouTube ocarinist DocJazz has done a magnificent cover of the tune, and it is worth noting as well that there was a remix version made for Super Smash Brothers Brawl that didn’t quite make the final cut of the game. All of these are beautiful versions of a classic song that could easily be called ahead of its time. No matter what, it is hard to give this song too much thought based on its GameBoy version alone. It just isn’t completely realized in that medium, which is actually one of the reasons for one of my favorite things about the song: its versatility. The song can be interpreted from its 8-bit origins to a modern orchestra in many different ways. For example, the Symphony’s rendition of the song is very upbeat and soaring. On the other hand, the Smash Bros. and DocJazz versions are much quieter and have a more sweet and mournful tune to them. I feel this versatility helps define what makes the song so powerful; with its basic melody there are multiple things that can be done with it, and no matter what I still find myself humming the same tune no matter which version is stuck in my head. Now, I feel it should be noted that there is also a song in Majora’s Mask called the Ballad of the Wind Fish. This is not the same song, though; the one in Majora’s Mask is completely different and is intended as a way for Link’s forms to play music together. Well, I think that should do it for this week! 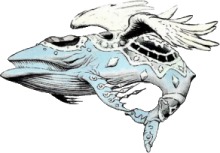 Be sure to leave your thoughts and comments about “Ballad of the Wind Fish” in the comment section below, and keep in mind I am always open for suggestions! Hope you all had a great holiday season, and have a Happy New Year!